The Fuji 60mm f2.4 R Macro Prime Lens features a compact, lightweight design that delivers pin sharp results and offers precise control over depth-of-field. At the minimum working distance of 26.7cm, the lens delivers the maximum magnification of 0.5x for macro photography. 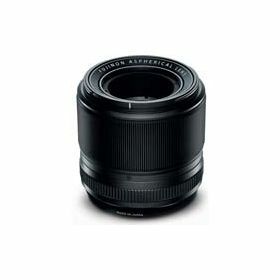 It uses a glass molded aspheric lens at the 7th element to prevent field curvature, and places an ED (extra-low dispersion) glass lens at the 6th element to contain chromatic aberration. The metal barrel provides the user with a solid, high-quality feel and using the aperture ring the exposure can be changed in 1/3 increments. 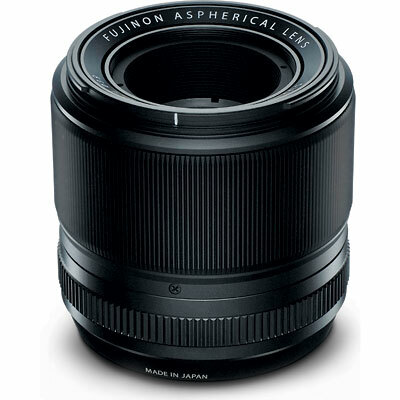 The Fuji 60mm Macro lens features Fuji's new X-Mount and is fully compatible with the Fuji X-Pro1 camera.